Healthy Connections, Inc., has been named as one of the Best Places to Work in Arkansas by Arkansas Business and Best Companies Group. 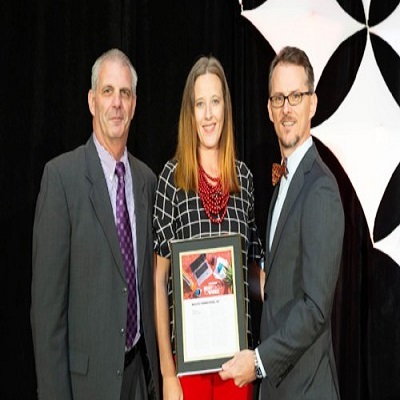 The sixth-annual survey and awards program was designed to identify, recognize and honor the best employers in Arkansas, benefiting the state’s economy, workforce and businesses. This is the second consecutive year Healthy Connections has been named to the list, which is made up of 40 companies. Healthy Connections, Inc., is celebrating its 20th year of taking care of Arkansas and operates nine clinics throughout Southwest Arkansas. Services include primary and preventative medical care, general dentistry, pediatrics, cardiology, behavioral health, physical therapy, and outreach services. Shown in the picture is (left to right) Healthy Connections CEO Tony Calandro, CFO Gretchen Cannon, and Mitch Bettis, President Arkansas Business Publishing Group.